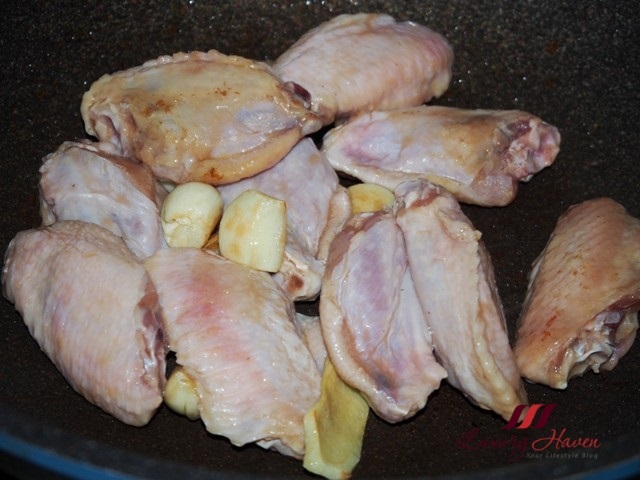 Clean chicken wings and marinate for about an hour, or overnight for better taste. 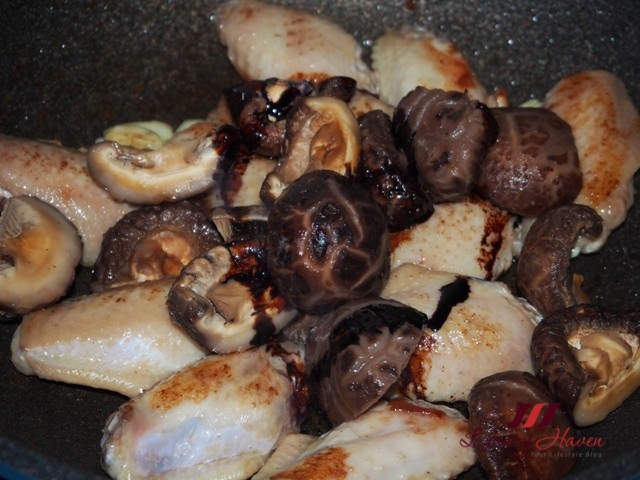 Soak mushrooms till soft and dispose stems. Cut into half and marinate for 30 minutes. Heat oil in wok and sauteed garlic and ginger till fragrant. Throw in wings and fry till half cooked. Add in mushrooms and dark soy sauce. Mix well. Empty the can of abalone sauce into the wok. Add water and peanuts. Mix well. 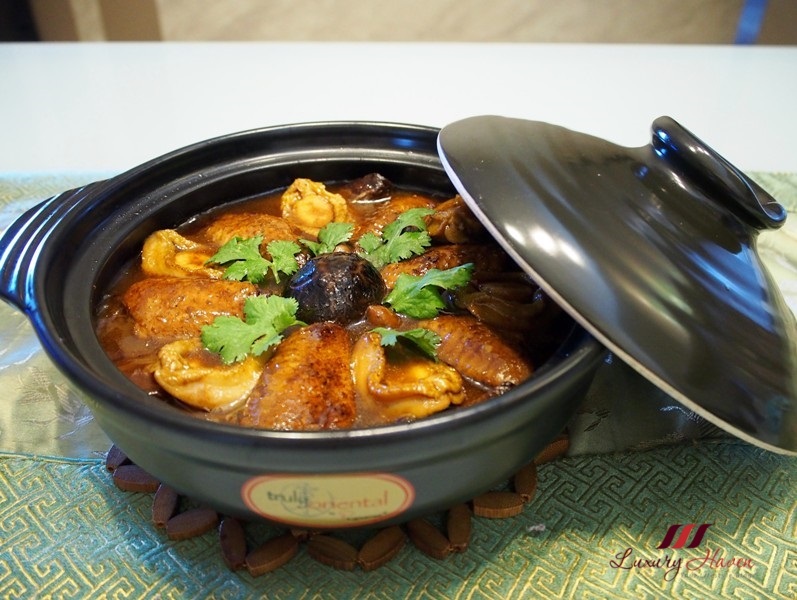 Transfer to claypot and arrange neatly. Cover and simmer for about 30 - 40 minutes. Add abalones. Cover pot and simmer for another 10 minutes. 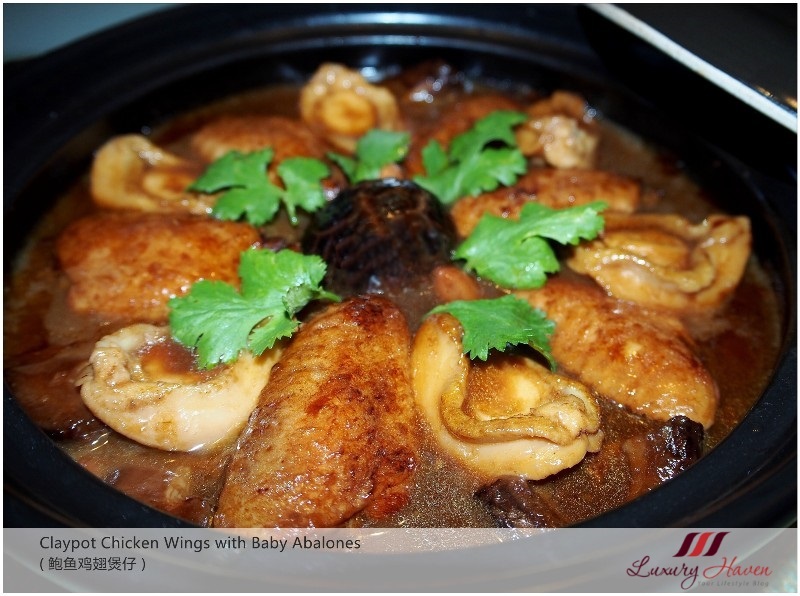 Add wine and serve your Claypot Chicken Wings with Baby Abalones ( 鲍鱼鸡翅煲仔 ) piping hot! 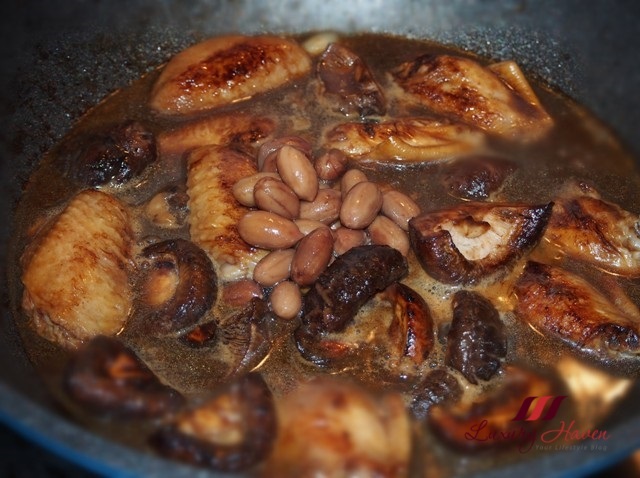 Since I am using Ah Yat Braised Abalone ( 阿一红烧鲍鱼 ), you will find the stock darker in colour and also richer. 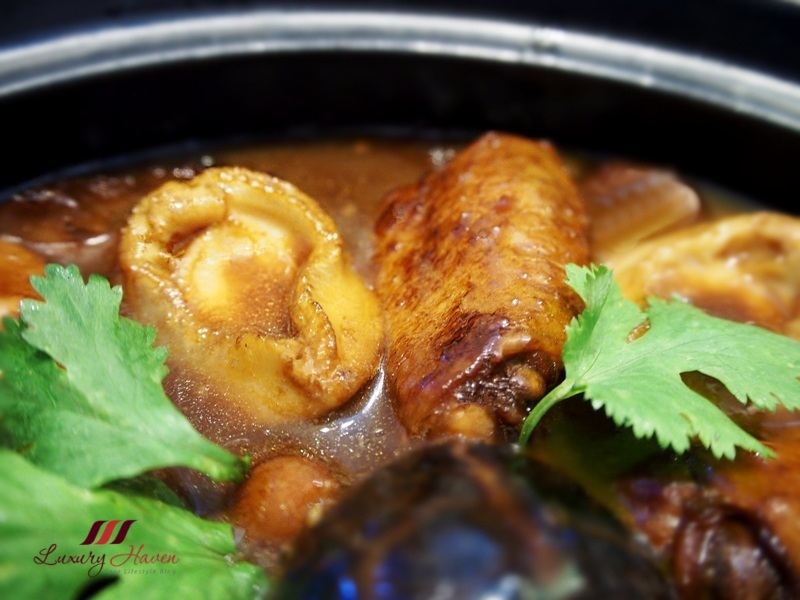 If you are using the normal canned abalones instead of braised abalones, the colour of this dish will turn out much lighter. 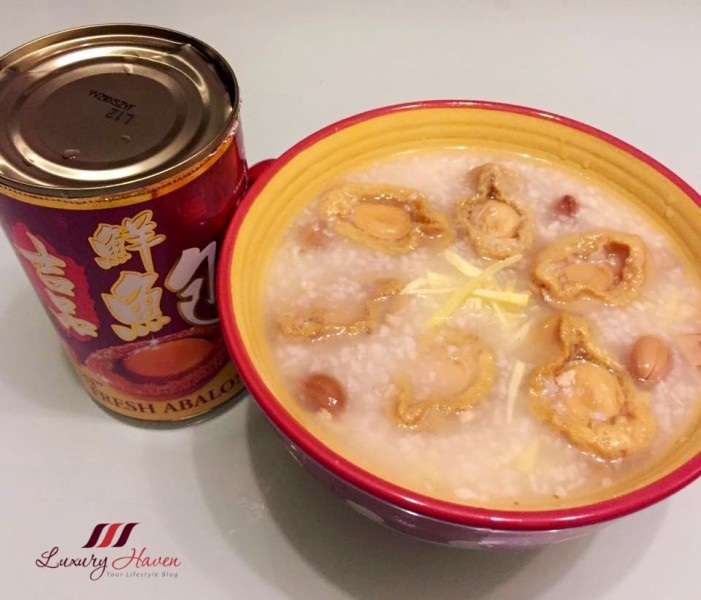 I have also used some of the Ah Yat Ji Pin Abalones and whip up a yummy congee for my hubby who was unwell. Not a fan of Chicken? 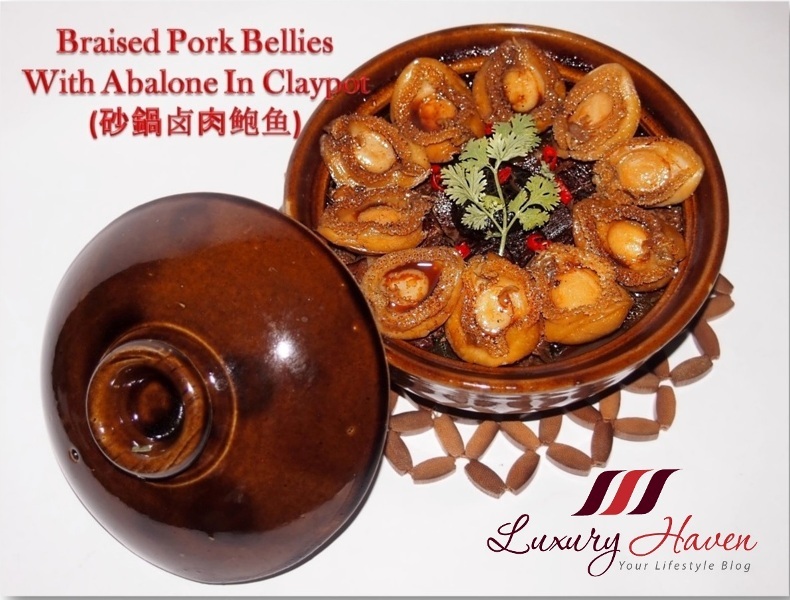 Try this addictive Braised Pork Bellies With Abalone In Claypot ( 砂鍋卤肉鲍鱼 )! Like what you see? Subscribe to Luxury Haven by Email and you will never miss a post again! Shirley, that is delicious! 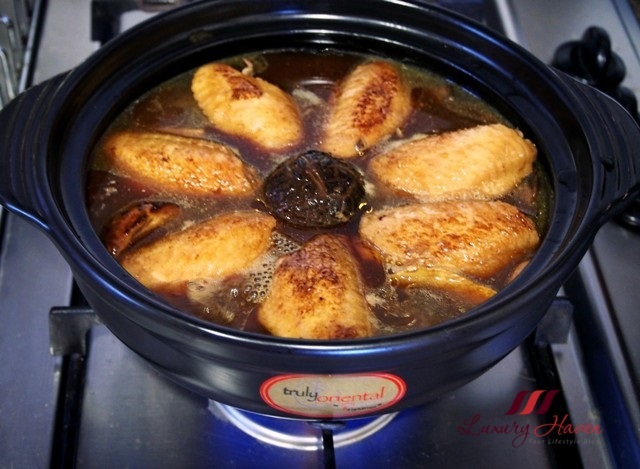 I have not tried braised chicken wings, only fried ones hah..hah... 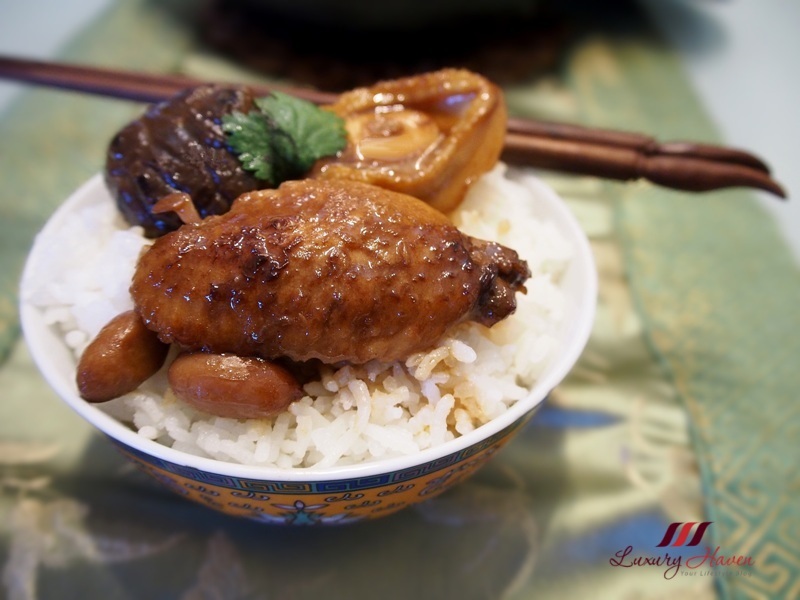 This dish is luxurious, tasty and nutritious too! 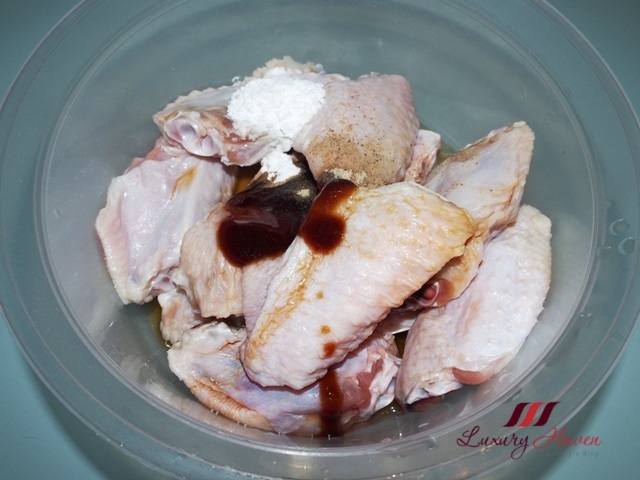 Thanks for the recipe but I will have to use chicken breast meat without skins instead of the wings because I don't like to eat chicken skins. Very promising dish Shirley! Love the addition of Abalone, makes everything so atas LOL! I have a claypot but I hardly use it for cooking! I do love your recipe. I could have many of the wings and baby abelones. Yum yum! 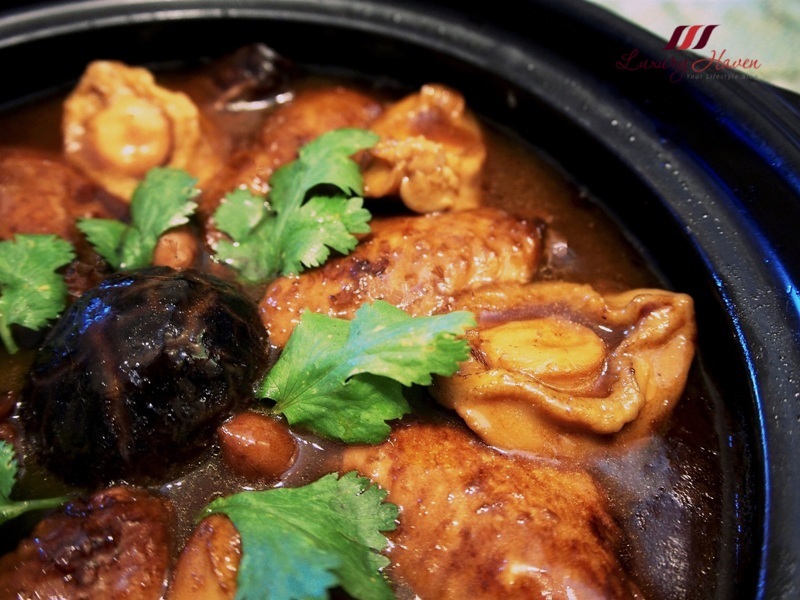 I also love claypot cooking. Have a wonderful week! I have a clay pot that I've never used! These wings look fabulous! Thanks for these fantstic pics and the recipe. Now, after seeing this dish, I am just wondering how am I going to sleep. Hunger throne!! 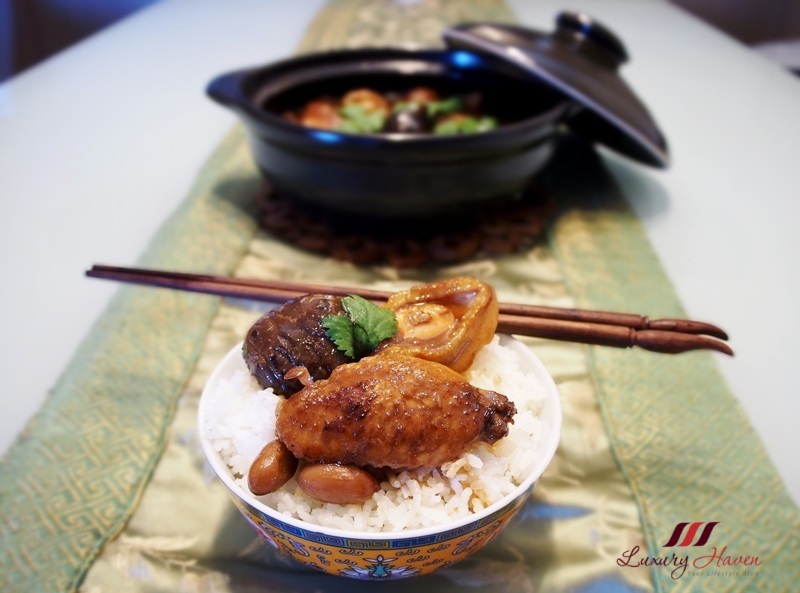 There is something extra flavorful and hearty about food cooked in a claypot! This dish looks delicious Shirley! Just by looking at this it made me hungry. CAN YOU SEND ME a piece of this yummy chicken ?? It looks very very yummy! omg looks so delicious, want to try this now! Delicious!! 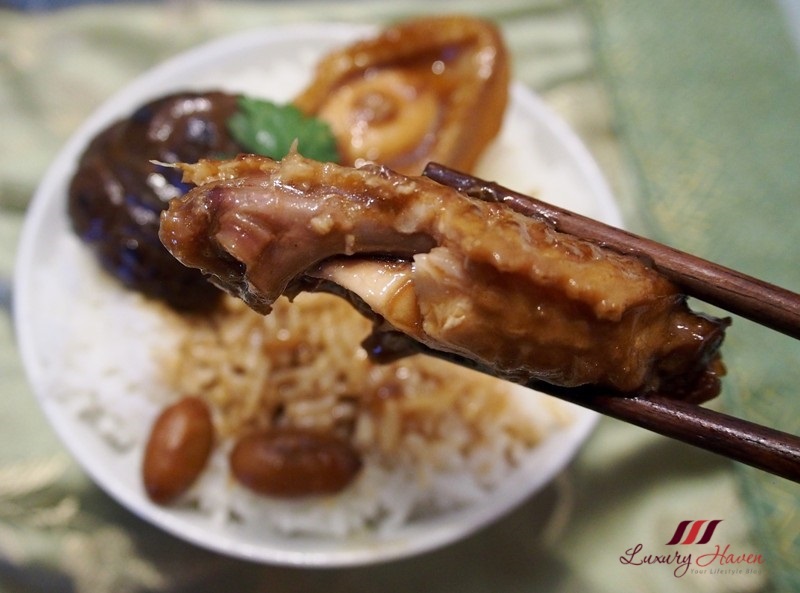 Oh wow Shirley, this reminds me of stewed chicken with bamboo shoots and chestnuts that I love. 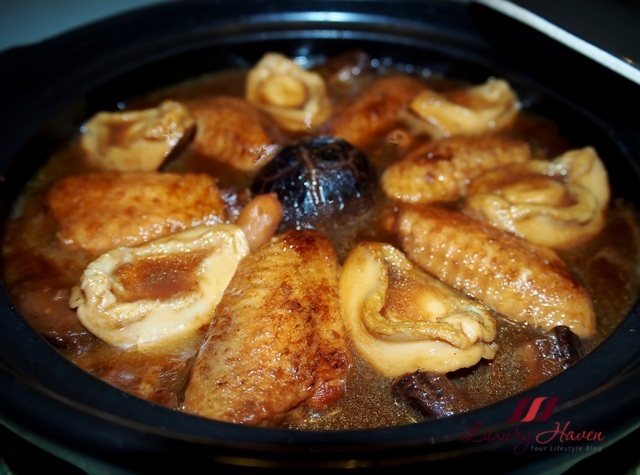 My family really enjoys baby abalones too, mom loves it for porridge especially!